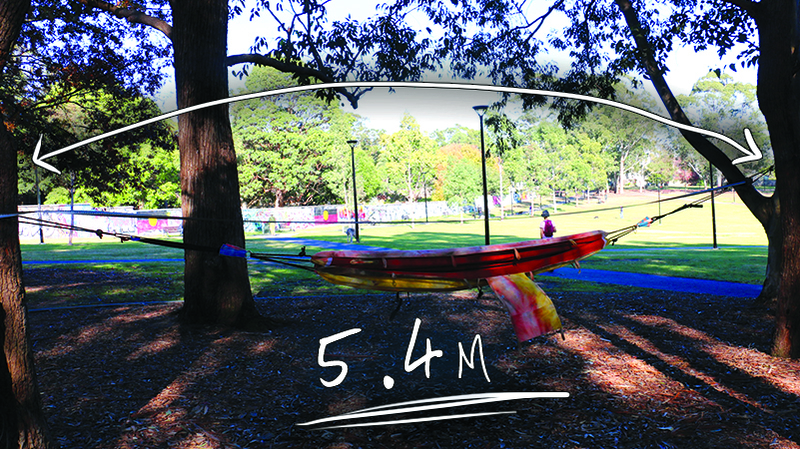 Hammbag – 1.8m to 5.4m! Easily stretch or hammbag from 1.8 meters to 5.4 meters! with NO extra rope, straps or tools! Simply put the grunt straps through the loops at either end of the hammock. Then strap it around a tree. Undo the 2 ropes at on side of the hammbag. Thread one the the 4 loops on the bag, then the ring, then the last 4 loops. Now back through the ring and tie it to it’s end. You’ll now have a spare piece of rope that you can add an extra 1.2m to your hang. Repeat on the other side if you need more rope. Thread a rope through 2 loops, then the ring, then the next 2 loops. Go back through ring and tie it off. Do the same with rope 2. 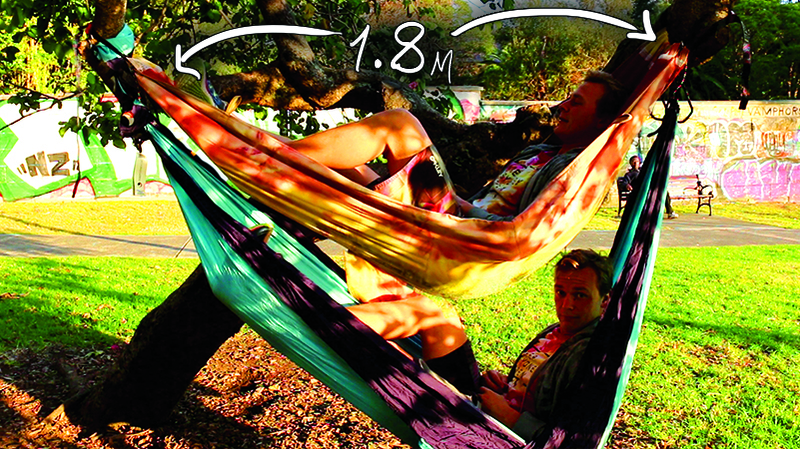 This entry was posted in Hammbagler and tagged hammbag, hammock, hanging, tips.